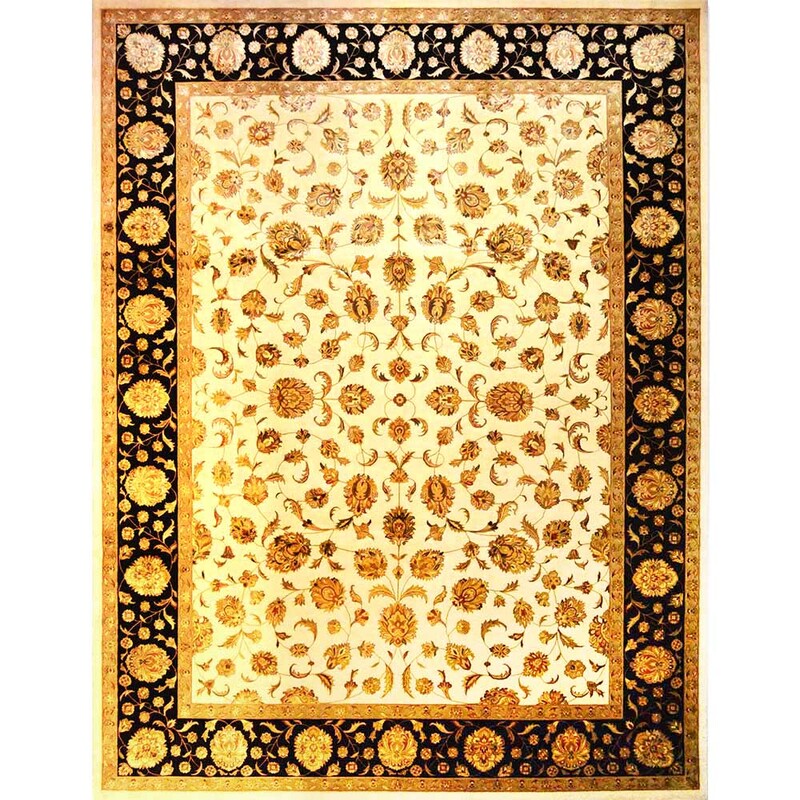 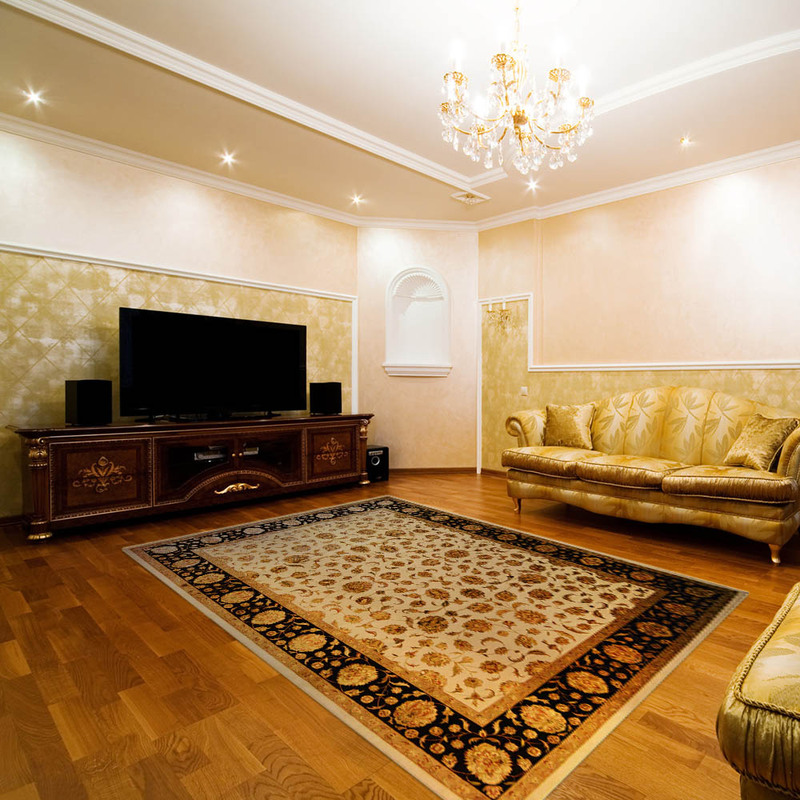 The 9’ 1” x 12’ Kashan from India. 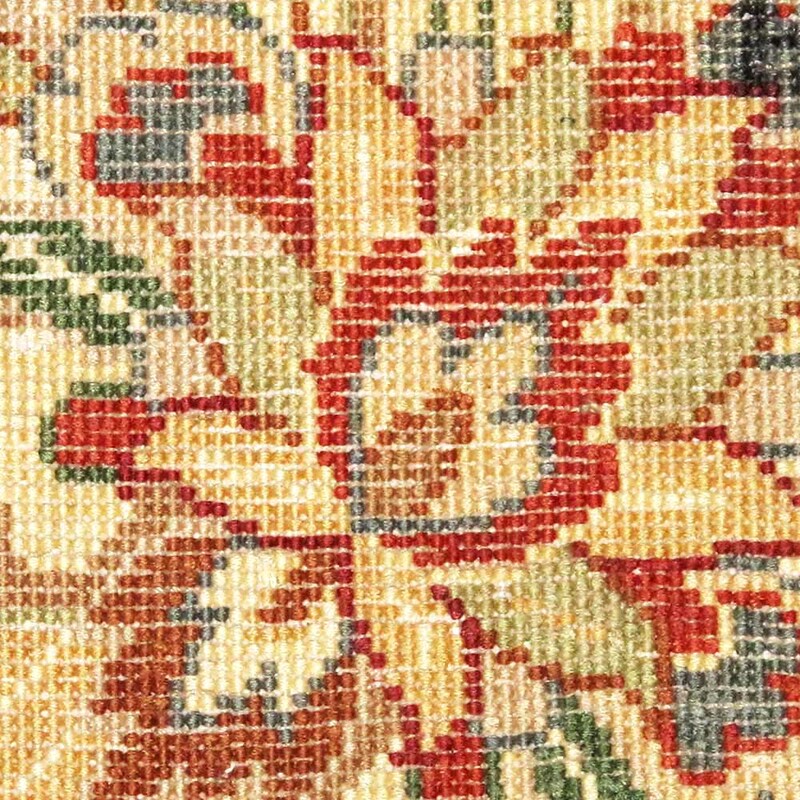 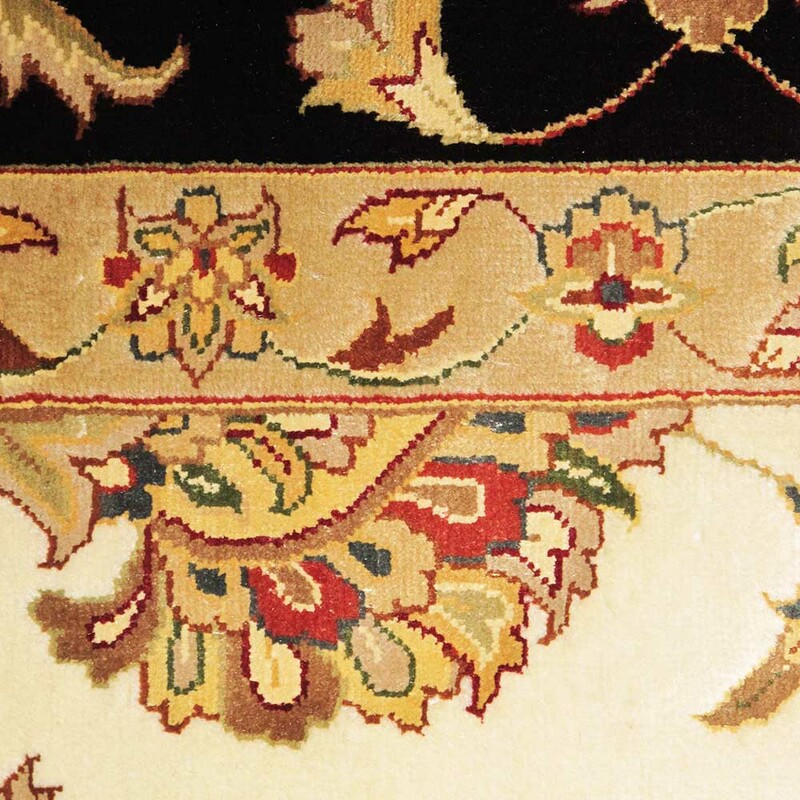 A treat for the feet, this carpet has a wool pile and an all silk design. 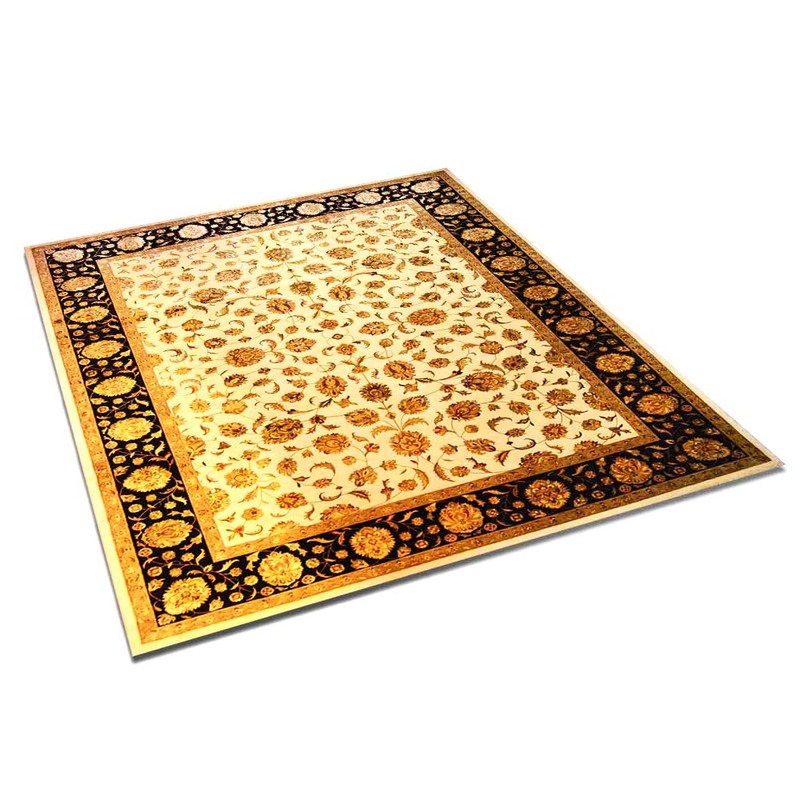 The flowers, leaves and vines are all in silk and have a wonderful soft feel and light gleam. 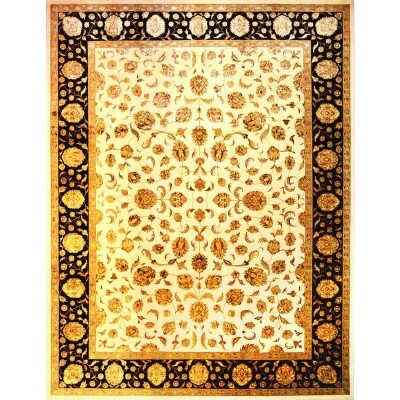 Size (ft) 9’ 1” x 12’ 0"
The 9’ 2” x 12’ 4”Jaipur from India. 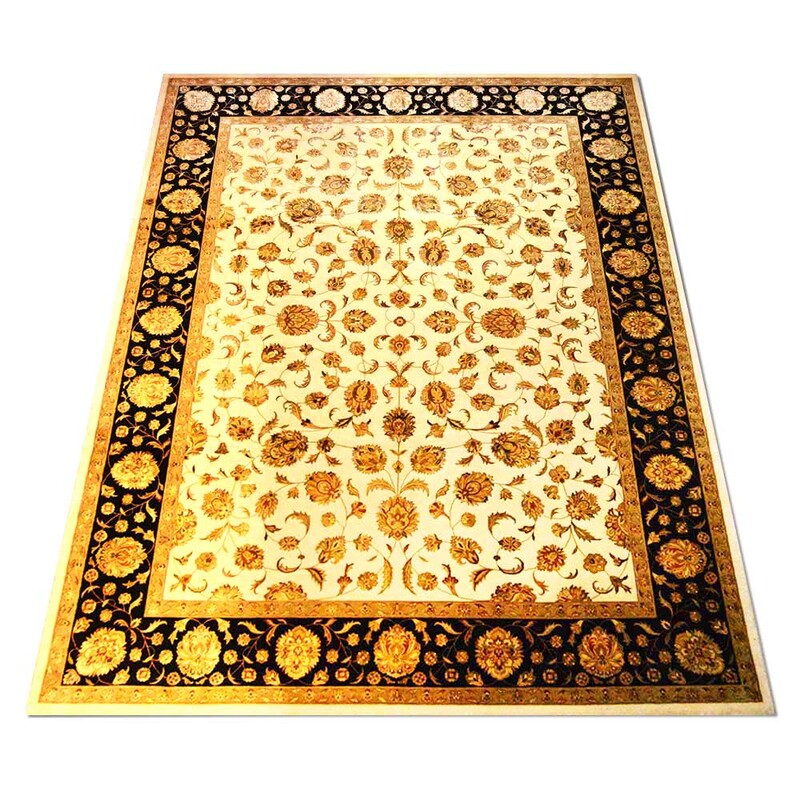 This all silk rug might be wonderful to squish your toes into ..